[MUSIC] What's up? It's Angela Yee, and today on Woman to Woman, we are working on the path to power brought to you by State Farm. I've always had a really strong entrepreneurial spirit, as you can see from all the things I've been doing. I've invested in real estate. I've also opened a juice bar, investing in my own neighborhood. I always believe it's really important to have my financial goals firmly in hand. Right now, I'm sharing what I've learned along the way to help Cashan live her most colorful life starting now. Cashan is an entrepreneur who left the safety net of a nine to five job to start her own company, the Wine Life Co. Which is a [UNKNOWN] line accessories line. She's very passionate about it and her plate is full but guess what else? She's also expanded her family with a brand new baby boy. So what have some of the obstacles that you have to overcome? We were coming from the house [UNKNOWN] two incomes and now [UNKNOWN] be down to one income. Right. So any expenses or activities you wanna do with the children, we have to cut back on. Making [UNKNOWN] for things that we really need and understanding that it's a short-term sacrifice. It's not forever, but it's short-term for a bigger gain for us. You do need people that support you. You do need that support system to come and help you out. That's a good point. I think at first it was hard for me to ask for help. It was even hard for me to ask my husband. Like, this is your income we're relying on. And coming from a family of women who, they're the head of the household and depending on someone else is a little different for me. But I love the fact that it seems like you're motivated by your family so much. So talk about how your family has factored into the decisions that you've made And let's talk about that legacy a little bit more. I come from a family where we didn't have, we had enough but we didn't have a legacy, we didn't have wealth, we didn't have something to really, a foundation to grow on. I had to fight to get to where I am, you know. So the biggest part is for my children, like I really want my children to say When I'm 18, and I graduate from high school, I can do whatever it is. So that's a big push, a big drive for me. Do you think they get it as they watch you working on your business? Well, my son, definitely no. But my daughter, I think she's getting it. We have family conversations about money. We talk about it a lot. And I want her to understand that, and the value it has for her. [UNKNOWN], what do you think are the next steps that you need to take to grow your business? I'm not really sure. I would love to do. I know you opened up a business. And I i would love to know your input or your insight on that. Well, I agree it's different for everybody. But what I did with my situation is I invested in this juice bar. And it was great for me because the guys that I work with, one of them already has other juice bars, so he was an expert in that field. But one thing that really helped me out, because I didn't have all the answers, this is my first business that I've ever started. So it was really important for me to talk to somebody who was an expert, like a State Farm agent who can actually help you review all your different actions, kind of guide you and point you in the right direction. So [UNKNOWN] this is so exciting. Are you ready to take the next steps? Yes I am, I'm more than ready to really solidify and build my family's legacy. And make the [UNKNOWN] a household name. You can get started today by talking to a State Farm agent Or you can access State Farm's online tools and resources by visiting letsstarttoday.com. Meet Kashon Abdul Qadir, owner of the newly launched TheWineLifeCo.com. Married with two children, she recently quit her 9-5 to pursue her passion for this exclusive wine accessory line. 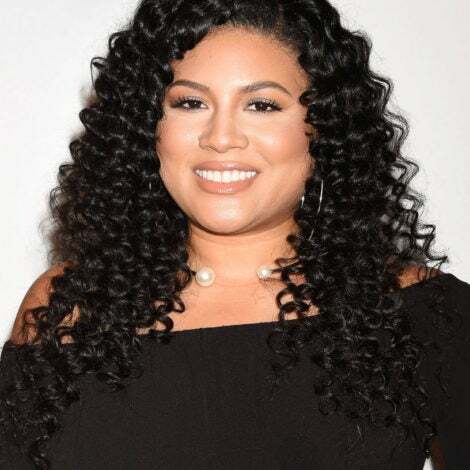 Excited to amp up her business, she sits down with Angela Yee, Radio Personality and Entrepreneur, to get some advice on the steps she needs to take to grow her company. According to Angela, it all comes down to experts, from finding mentors to partner with to seeking out professional agents who can review your financial goals and options. Check out how you can get great support right now from State Farm and for more info go to LetsStartToday.com.